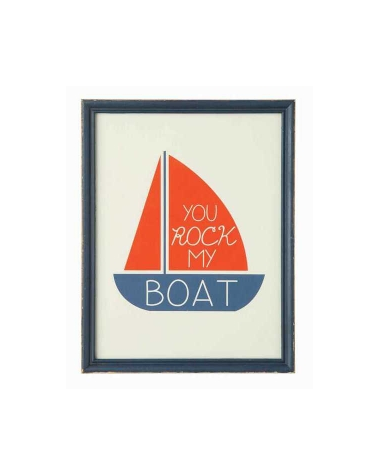 Clean and modern, this framed print featuring a sailboat that will add a splash of color to your wall and would look great in the kid's room of your cottage or lakehouse. Presented in a slightly distressed blue frame and mounted under glass. 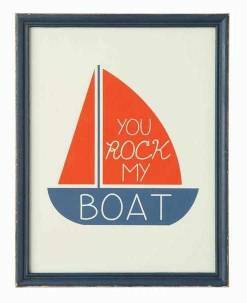 This ready to hang print measures 11" x 14" and features the phrase, "You rock my boat."